Another oldie. 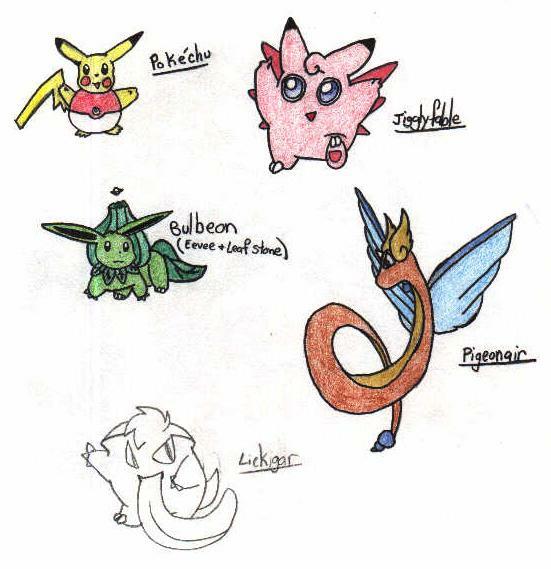 Just a collection of some made-up pokemon i sketched years ago. All I really did was combine 2 kinds of pokemon together to create these. Imagine if this happened when you breed them in the actual games! Oh that's cute keep up the good work. I can't even get a Feebas to even HAVE a Miloctic...I personally think I'm wasting my time looking for one.